Dubrovnik - where to stay? Will be in Dubrovnik the end of May, 3 girls, 30ish, want to laze in the sunshine by day and take in some culture/good food/bars by night. Like to be amongst things...any recommendations - old or new part of town? Or any names of reasonable accommodation would be cool? Re: Dubrovnik - where to stay? Generally, the closer you are to Old Town Dubrovnik the higher the accommodation price. 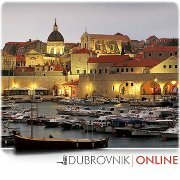 If you are looking for hotels in Dubrovnik and Dubrovnik Riviera I suggest that you check out http://www.dubrovnik-online.net/english/hotel.php , you can browse through the list and even book a hotel directly. There is a list on Dubrovnik Online, you can find the perfect accommodation that suits your requests, the good thing is that you are dealing directly with the the accommodation owner, so no commissions there.